Bougainvilleas are currently at their peak here in Arizona and I just love the tropical color they add to my landscaping. A native of South America, these plants come in a variety of colors such as orange, pink, red, lilac, fuschia, white and purple. I particularly like the Barbara Karst variety for its vibrant color and profuse blooms. I have them growing along the walls and also have trained three to climb up the columns of my patio. This week I'm working on the garden for the summer transition. I pulled up the cool-weather plants that are bolting with the heat, such as cabbage, broccoli, and dill, and getting the beds ready for summer transplants (peppers, tomatillos, okra, and tomatoes). Today's harvest: Dukat dill, Mizuna, Spigariello liscia, Red Russian kale, Early Jersey Wakefield cabbage, Japanese Giant Red Mustard, Ruby Red Swiss Chard, Red Romaine, radishes, Florence fennel, French sorrel, Nero Di Toscana kale, Egyptian Walking Onions, and Bloomsbury spinach. While a lot of the country is covered in snow, gardening in Arizona yields rich rewards: In this bed, plants include spigarello, cabbage, Swiss chard, leeks, kale, I'itoi's onions, and artichokes. What to do with an abundance of thyme and juicy Meyer lemons? 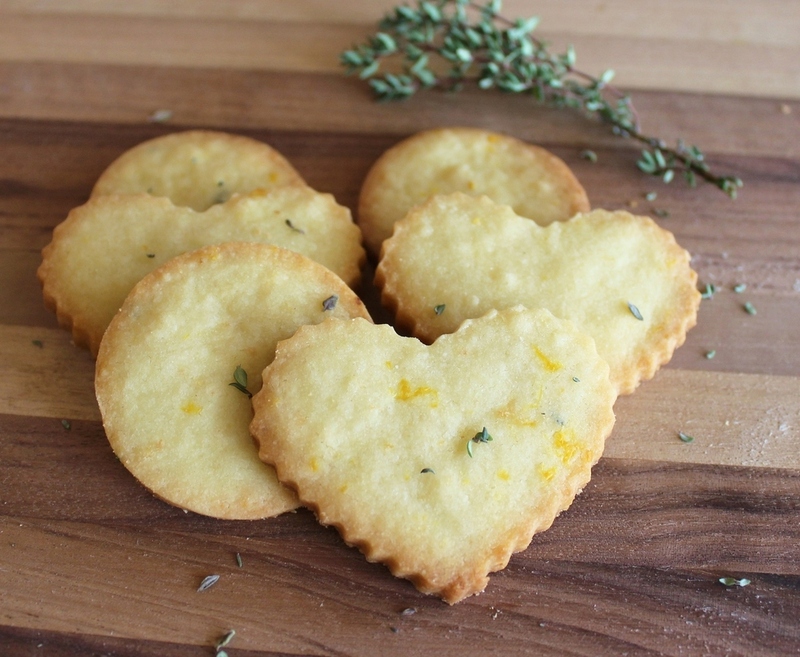 Make shortbread cookies! Click here for recipe link. Mom is visiting us from Boston and I love when she cooks Vietnamese for us. Today she picked these from the garden for rice paper rolls (gỏi cuốn) for our lunch: Cilantro, mint, Japanese Giant Red Mustard, Outredgeous lettuce, Red Romaine, and Forellenschluss lettuce. Poblano peppers do especially well in Arizona. Before moving to Phoenix in 2008, I had no idea that Arizona had such an abundance of winter citrus. Currently I am growing Meyer lemon (my favorite), Lisbon lemon, Ponderosa lemon, Valencia orange, Nagami kumquat, Rio Red grapefruit, Bearss lime, and Moro blood orange. I only have room for one or two more, but on my wish list are Buddha's Hand citron, Kaffir lime, mandarin, calamondin, finger lime, or yuzu. Looking for a great recipe to use our delicious fresh oranges? This is one of my favorite salads, and makes use of Arizona-grown dates and arugula. Click on picture for details and recipe. Red Romaine lettuce, Japanese Giant Red Mustard, Marconi peppers, Dukat dill, Lunga Violetta eggplant, and Red Russian kale. Tomatoes, artichoke, Ichiban eggplant, Bloomsdale spinach, Outredgeous lettuce, and poblano peppers. Ruby Red Swiss chard, Mizuna, Shishito peppers, I'toi's onions, Spigariello liscia, and Quarantina broccoli rabe. Early Jersey Wakefield cabbage, King Richard leek, Forellenschluss lettuce, purple basil, Gigante di Napoli cauliflower, and garlic chives. 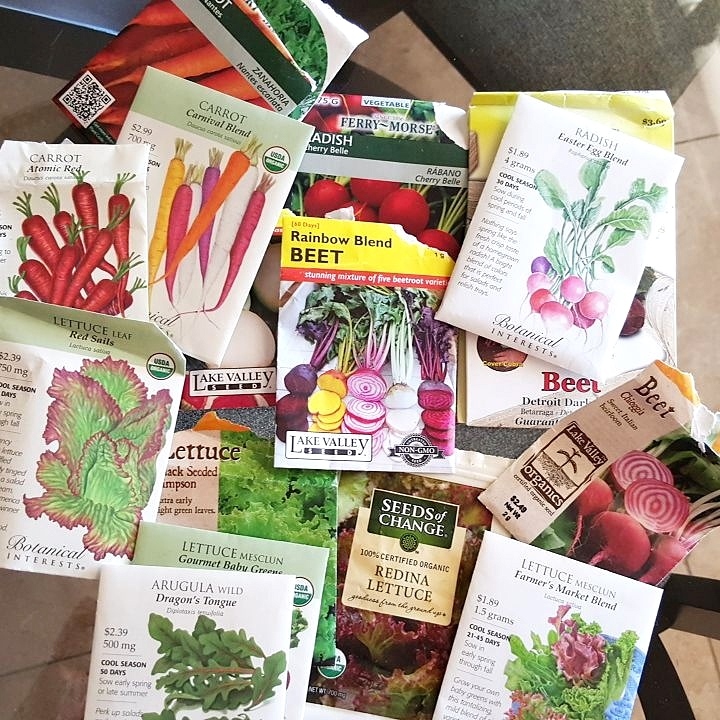 Florence fennel, Genovese basil, Moroccan mint, Nero Di Toscana kale, spearmint, and some of the seeds I've been sowing. Roselle (Hibiscus sabdariffa) took over my garden this year. I had two plants from Vilardi Gardens and didn't realize how big they would get, but I love them! Not to be confused with tropical hibiscus, this is also known as Jamaican Sorrel and in my garden grew to be about 4 feet tall and wide. Both the flowers and buds are striking. Before growing hibiscus, I thought that the vivid-hued jamaica I often drink in Mexican restaurants was made from the dried flowers. It's actually steeped from the calyxes which encase the seed pod. The pod is removed and then the calyxes dried. This was a happy surprise. I had some frost damage to one of my favorite plumerias - San Diego Sunset - and since they bloom from the tips, I didn't think I would see any flowers this season. I came home from a trip to Texas to find these. This was a splurge, but I'm so glad I bought a Jim Little Doric (named after his wife). I love the veining and unique color. Ping Tung Asian eggplant. With a shade cloth (I've found they turn yellow and bitter if sunburned), I can harvest all summer. Jungle Jack's Desert Sunrise plumeria.